The eighth foundation stone, the Beryl, is greenish-blue; somewhat like the ocean wave as it mounts toward its crest; the blue of the faith and loyalty toward our brother man, the green of humility and unity, the harmonious blending into one symmetrical whole, like a beautiful bouquet of flowers. This, established in the hearts of man, will also establish Universal Peace. The world longs for peace. But none of its respective nations, not even America is prepared to relinquish nationalism to the extent which Bahá'u'lláh pointed out would be necessary in an effective world organization. Two mandatory considerations are still withheld from fulfillment in the United Nations. The first is the relinquishment of national sovereignty to the point of accepting without right of veto the adjudications of a world court. The second inevitable requirement of stable peace is national disarmament down to the point of internal security only, and the establishment of an international police force. The world is not yet ready for these two momentous steps. Nor can they be accomplished without due caution. World peace is not merely a matter to be arranged between governments by treaties. It is the concern of every citizen of this one-world home of humanity. This is the point of exercising our free will to avoid that nullification of progress, that race annihilation that threatens us. The unity of the human race, as envisaged by Bahá'u'lláh, implies the establishment of a world commonwealth in which all nations, races, creeds and classes are closely and permanently united, and in which the autonomy of its state members and the personal freedom and initiative of the individuals that compose them are definitely and completely safeguarded. The abolition of war is to be only the first step in a colossal plan for a world organized in effective unity. Fully functioning as a federated unit, and dedicated to the establishment of a universal civilization founded on justice and good will. Expressing itself in forms of prosperity, beauty, and joy-of-living more glorious than even the world's great poets and seers have envisioned and conceived. The miracle of the rapid growth of a will-to-peace throughout the world is directly concomitant with the development of new and terrifying death-dealing military weapons. War on the ground had always been tragically destructive. But war from the air, on the scale recently attained, is too devastating for humanity to endure. .... instrumentations of warfare would become so deadly and all-destructive as to eventually compel humanity to desist from war entirely. There exists today that which did not exist in 1870, therefore the world, in 1870, gave little heed to the proclamations of Bahá'u'lláh. It overlooked one item which would eventually induce a desperate search for permanent peace, changing world events. These world events have proved the truth of this prognostication. Sadly enough, it is not idealism which is at last inducing humanity to outlaw war. It is not the moral sense but the fear of race annihilation which under entirely new and unexpected conditions, forces governments to entertain new and unexpected convictions and goals. Human nature may not greatly change, as the cynics maintain. But the directives of human activity often change, and never are they more potently active than today. So that now there exists a universal will to avoid war which is equivalent to a universal will-to-peace. Peace is not something we fall into because we react against war. Peace is a positive achievement involving an organized world community of law and order which we must want so much that we are willing to pay the full price it costs. The world order of Baha'u'llah is a goal which we can visualize in outline, and towards which we may strive. It is no magic millennium which will result from some particular political or economic action. It is founded on the spiritual concept of the oneness of mankind and raises a structure by which this unity may be preserved and developed. "The earth is but one country, and mankind its citizens" is its principle. Seventh Baha'i Principle is The Removal of all Prejudice, Religious, Racial, Political, etc. The seventh foundation stone, the "pure Chrysolite," is an exquisitely clear, slightly tinted green. We read in the ancient philosophies of the Chrysolite Tablet; it is the symbol of absolute sincerity and truthfullness, purity and selflessness. Only when our hearts are free from every form of prejudice can they become the "chrysolite tablet" whereon can be engraved our thoughts and motives. 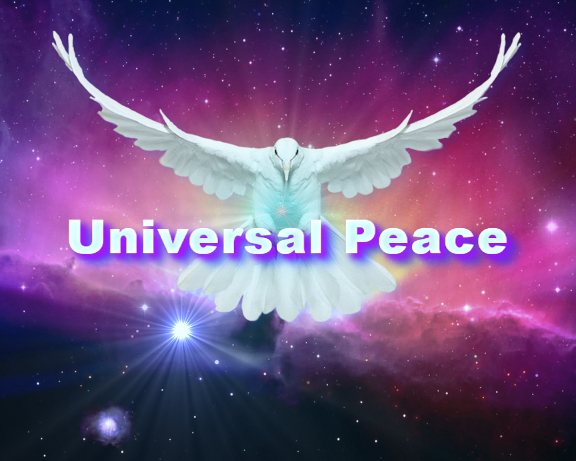 Harmony and fellowship between peoples and nations is a necessary foundation for universal peace and world federation. So important, in fact, is this factor of friendship that Baha'u'llah in all preachments concerning the New World Order insisted on the elimination of prejudices of all kinds, whether religious, racial, patriotic, or political. All warfare and bloodshed in human history have been the outcome of prejudice. This earth is one home and one nativity. God has created mankind with equal endowment and right to live upon the earth. Racial prejudice or separation into nations proceeds from human motives or ignorance. Why should we be separated by artificial and imaginary boundaries? This is one globe, one land, one country. The roots of prejudice are deep seated in man's biological and emotional nature. Primitive man shares with animals the instinctive aversion to everything different and foreign. Civilization has broadened the horizons of men's minds and consciousness and has gradually brought all areas of the world into contact, so that foreigness "per se" is almost a thing of the past. But civilization by merely secular means has not proved itself capable of eliminating prejudice. As one source of prejudice dies down another source may spring up as the interest and desires of various groups come into apparent conflict with one another. Yet if humanity is to attain to organizational unity, to that 'WORLD ORDER' which we are beginning to envision not only a desirable but an inevitable goal if humanity is to survive, then somehow prejudice must be disposed of. Since prejudice is a negative quality, a weed flourishing in our soils, what is needed is a positive and constructive treatment. Those things which conduce to unity will of themselves drive out prejudice. A fuller understanding of the economic and cultural interrelationship and interdependence of various nations and areas of the world will help to stimulate the awareness of the need of world unity. Close your eyes to racial differences and welcome all with the light of oneness. We desire but the good of the world and happiness of nations; that all nations should become one in faith and all men be as brothers; that the bonds of affection and unity between the sons of men should be strengthened; that diversity of religion should cease, and differences of race annulled .... Is not this that which Christ foretold? Bonds of affection and unity are not established governments of legislative agencies of any kind. Even cultural reciprocity, while it nurtures enlightenment and dispels that fog of ignorance which has been stated to be the denest of all matter, does not engender affection. 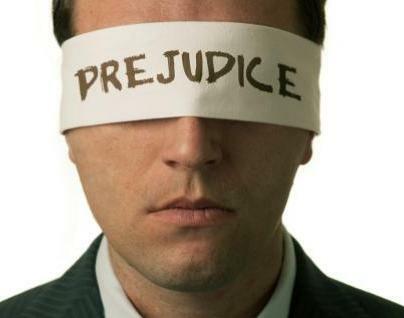 Mere absence of prejudice will not suffice. What is needed is the presence of an ardent constructive force such as only love can contribute. The opposite of hatred is lot the absence of this quality, but the activating presence of Love. Nothing else will suffice. The natural field for developing a wholesome emotional attitude is in youth. In this field we see not only an increase in effort, but an increase in results. Adults have to be reconverted, reconditioned. It is a slow and difficult process. But youth can more easily be educated into new channels of perception and emotional reaction. And the earlier such education begins the more stable and advantageous the results. Prejudice consists not only in preconceived ideas, but in obstinate attachment to outworn beliefs, methods, and institutions. Dogmatism and infatuation with our own theories impede the establishment of universal peace just as much as other prejudices. Abandonment of prejudice, therefore, implies not only a change in attitude, but a change in the social, economic and political structure of the world. And among the teachings of Baha'u'llah is that religious, racial, political, economic and patriotic prejudices destroy the edifice of humanity. As long as these prejudices prevail, the world of humanity will have no rest.... Therefore, even as was the case in the past, the world of humanity cannot be saved from the darkness of nature, and cannot attain illumination, except through the abandonment of prejudices and the acquisition of the morals of the Kingdom. Baha'u'llah includes among superstitions all those beliefs which have no foundation in fact, such as essential race superiority. It is obvious that their falsehood will be exposed upon investigation. But exposing false ideas is not sufficient to remove prejudice. A prejudice, predisposition or attitude has an emotional content, and emotions react only very slowly to reason. A new emotional stimulus, such as that provided by religion, is required to pry the patient free from his prejudice. The abandonment of prejudices calls for nothing less than the relinquishing of the emotional attitudes aroused superstitiously in us during childhood. Such a process is painful. Only an utterly "radiant acquiescence" with the principle of Oneness, and all that it implies, can free us from these prejudices. This handful of dust the earth is but one home; let it be in unity.